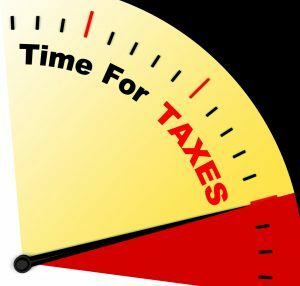 Home » ADHD & Organization » ADHD-friendly tax time? Really! ADHD adults have a complicated relationship with tax season. Finding ADHD-friendly tax organizing tricks is one problem. Preparing that darn tax return is another. Of course, tax season is horrid for ADHD. Our theme song is, “Anything But Boring Details and Tasks.” And, getting tax returns to the IRS on time is fraught with boring details and tasks. Is filing taxes ADHD-friendly? No way! So, we procrastinate. Drive our tax preparers bonkers. File extensions. Or, worse yet, not file taxes at all. Living in fear that the IRS will catch up with us. Even the April 15th deadline isn’t enough pressure to get ADHD adults to prepare taxes. The overwhelm of a mishmash of tax information trumps deadline pressure every time. How do I know? Because I’m often helping new clients dig out of the ADHD tax nightmare they’ve created. Let’s untangle this mess. If you have ADHD there are two parts to focus on to make preparing taxes easier. Thinking about taxes in smaller bits makes the whole mess less overwhelming. ADHD-friendly ways to organize tax information. Wisely gathering the information you need to prepare your taxes throughout the year. We’ll cover this in next week’s issue of ADHD Success. Motivating yourself to prepare and submit your taxes before the deadline. Our topic for two weeks from now. My first goal is that you manage to file your taxes on time this year. If you live with a disorganized tax records system you can expect this to still be challenging. You won’t have an ADHD-friendly tax system set up early enough to make a big difference this year. But, follow my sage advice, and you’ll be in much better shape for next year. My second goal is that next year (and every year after) preparing your taxes will be ADHD-friendly. Easier, less stressful. It will still be boring but the overwhelm will vanish. Over the next couple of weeks in the newsletter, we’ll focus on ADHD-friendly tax tips. Organizing, preparing, the whole deal. Stay tuned!